This weekend marked week three of the World Cup race season. Now that we are seven races into the season things are starting to feel a bit more routine. This past weekend was the most successful yet. I cracked the top 30 for the second time in my life with a 25th place finish in the Davos Skate Sprint World Cup after qualifying for the heats in 27th. Hitting this benchmark is an important step for the season. Top 30 results give you World Cup points and are one of the main selection criteria for event qualification. This result puts me one step closer to qualifying for the big events that are coming up in the next 14 months including World Championships and the 2018 Olympics. 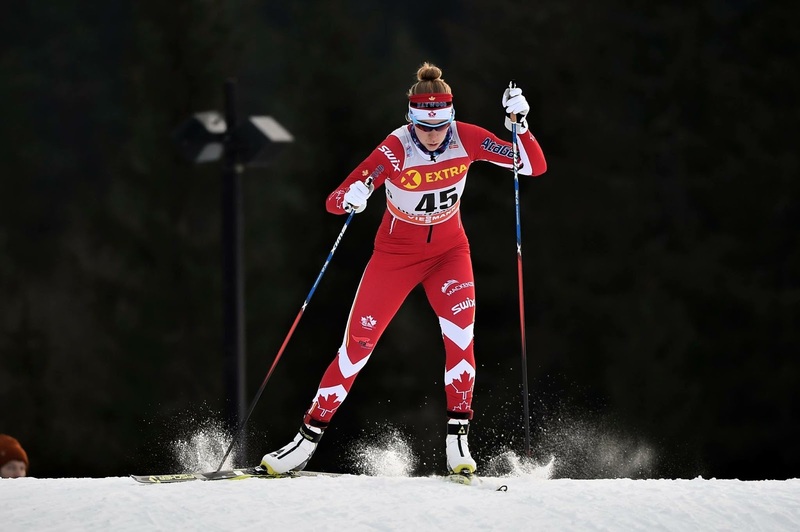 Pushing hard around the corner in the sprint qualifier in Davos on my way to 27th and whipping my hair while I’m at it. Showing my pain face which looks a lot like my smile in the quarter finals, before finishing 5th in my heat. 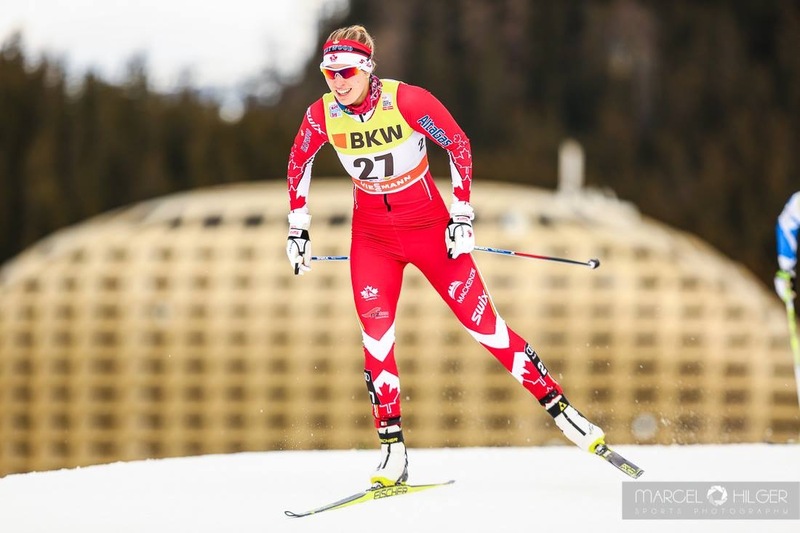 Although I didn’t score any points in Saturday’s 15km Skate in Davos it was also a good race for me. I finished 42ndand it was my best distance race so far this year both results wise and feeling. 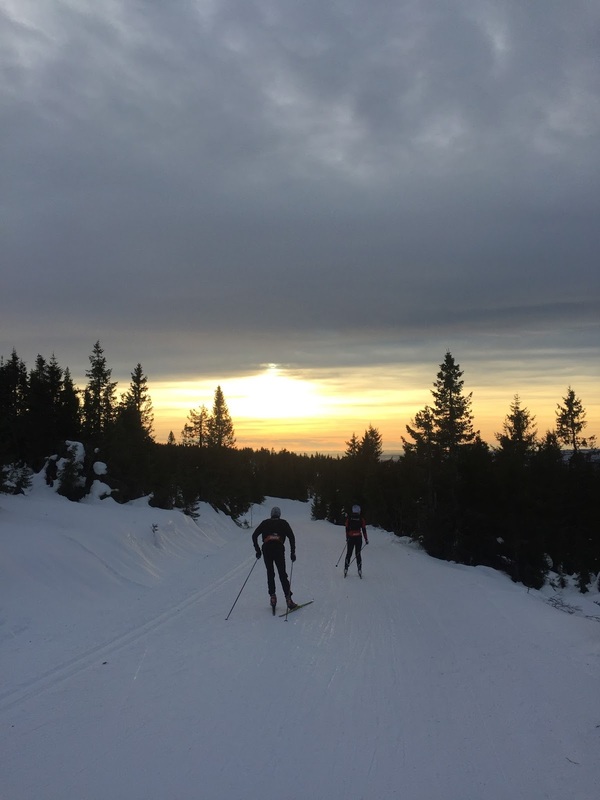 The season started in Ruka, Finland at the end of November and then moved to Lillehammer, Norway for a 3-day mini tour the first weekend of December. The first five races of the season all had their positives but also had areas to improve on. 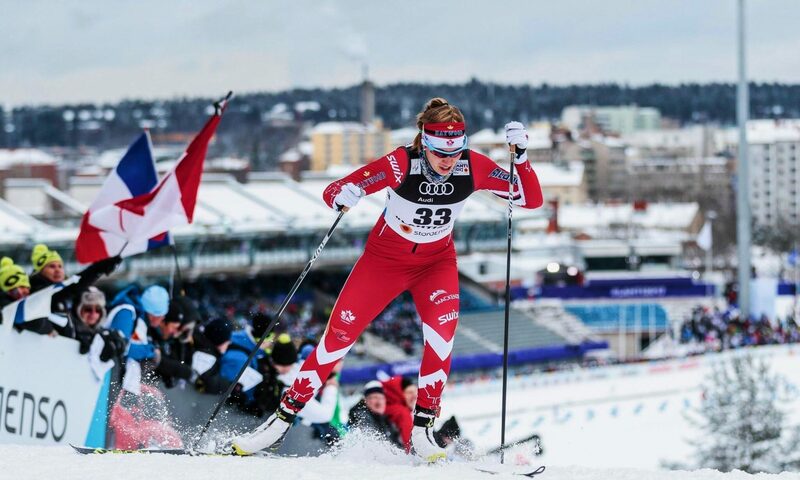 In a very deep field I had some respectable results including a 50th place in the classic sprint in Ruka but each race left me wanting more. Now nearing the end of this first period of racing, I am thinking of each race as a building block, part of the foundation I am going to need going forward this season and into the coming years. With each weekend getting better I am now looking forward to our final weekend of racing in La Clusaz, France. 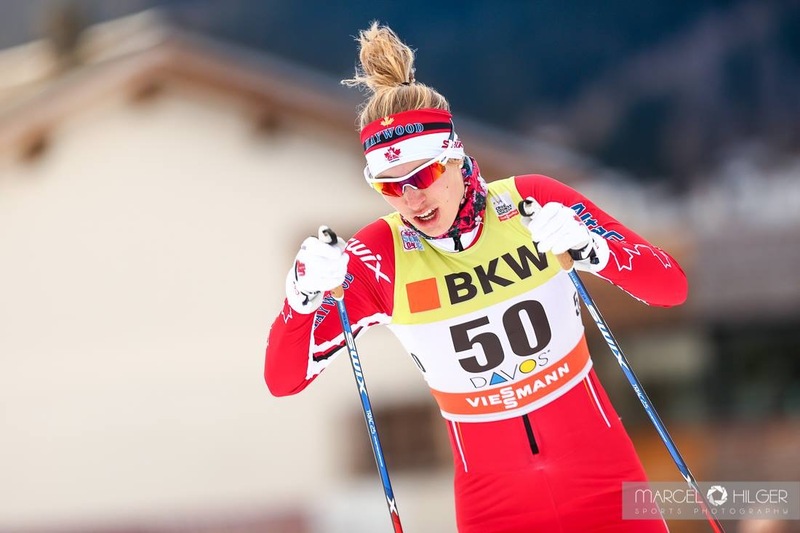 La Clusaz will host a 10km Skate mass start and a 4x5km relay. With four women on the world cup right now we will be able to field a relay team. 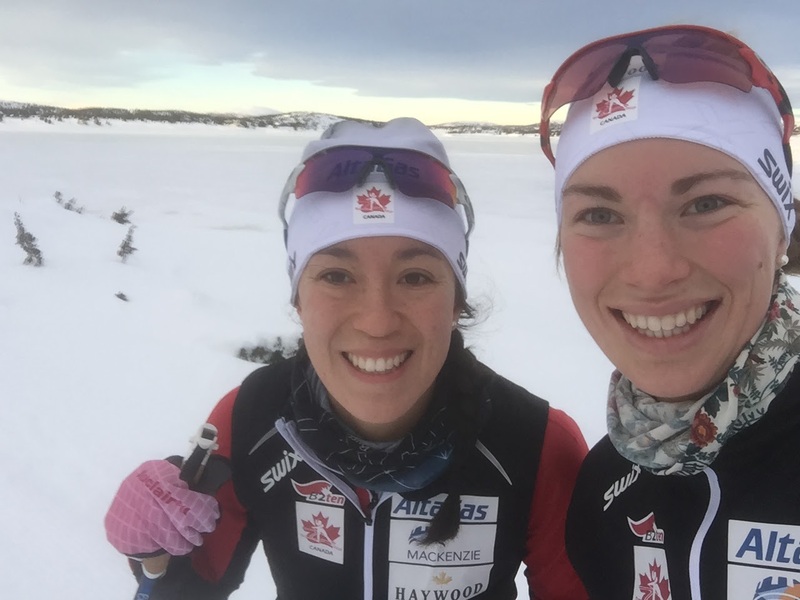 This is the first time in many years that the Canadian women will start a relay team in the pre-Christmas race period. 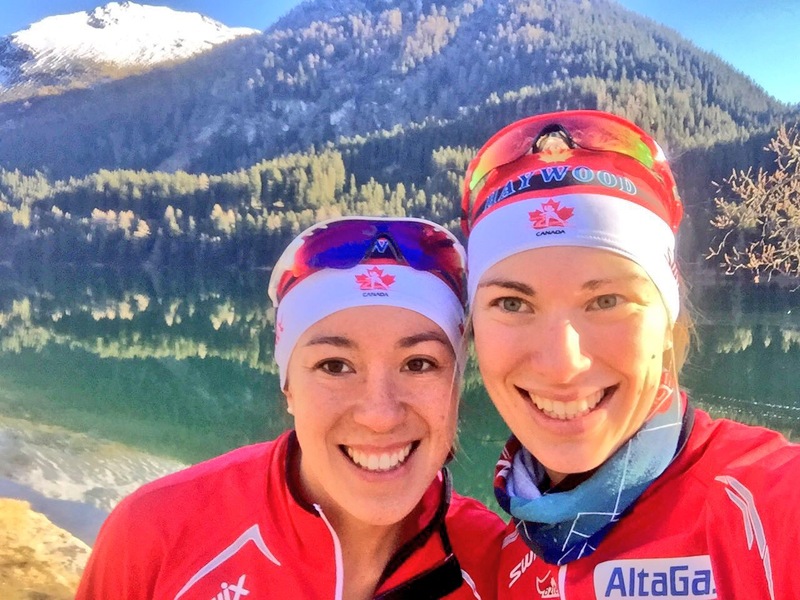 Emily and I running home along lake Davos after the 15km Skate. Warming up for the 5km Skate in Lillehammer. The course was already lined with cheering fans. 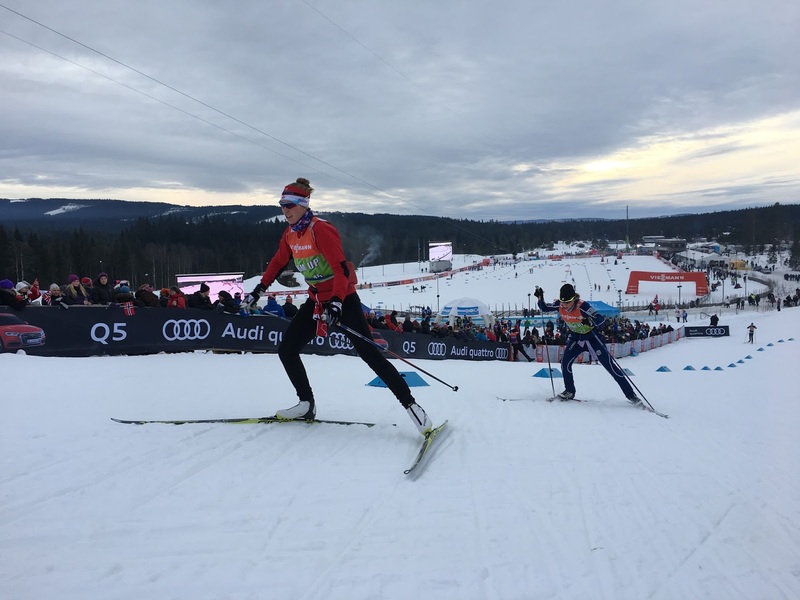 Lillehammer had one of the most amazing race atmospheres I have ever experience with so many people out cheering not just for their own athletes but for every competitor. 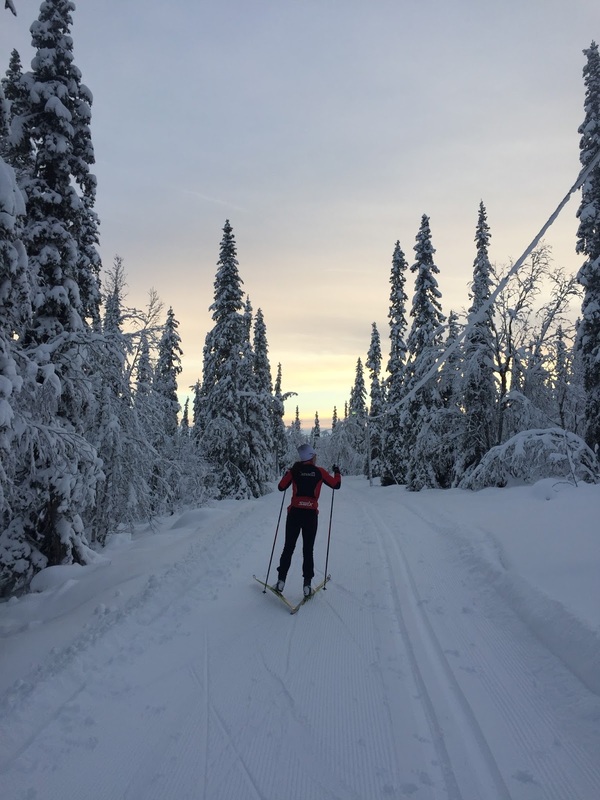 Working on those building blocks in a tough 10km Classic the first weekend in Ruka, Finland. 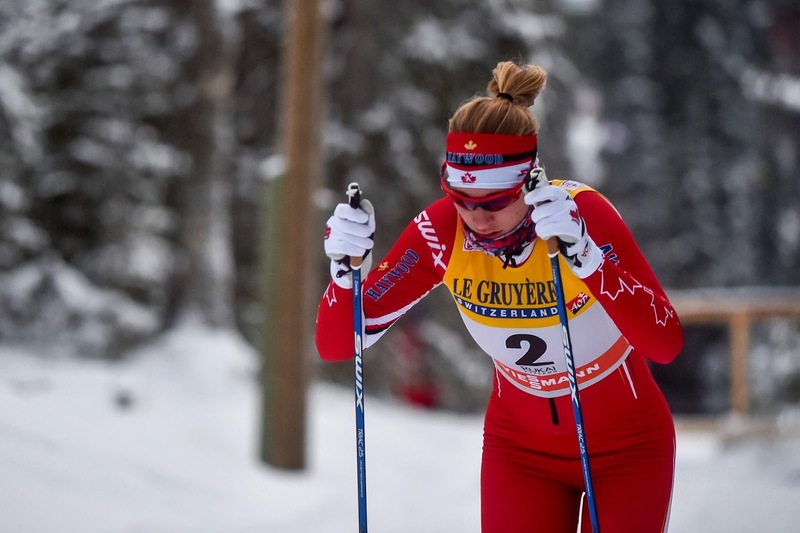 Racing the 5km Skate in the Lillehammer mini tour. Despite finishing a not so fabulous 62nd I was racing in the top 30 for the first half of the race before running out of energy on the final monster climb and dropping down to 62nd on the results list. Beyond the racing, my trip to Europe has been full of learning and new experiences. I have been fortunate enough to see two new countries, Sweden and Norway, and I will be going to France for the first time this Thursday. I have also been to 5 towns/cities I had never been to before. I have learned lots about these places that all have a rich ski culture. We spent our first two weeks training and racing north of the arctic in Sweden and Finland. The days were very short but we had great skiing and it put me in the Christmas spirit early. As the trip progressed we slowly made our way south. From Finland we travelled to Lillehammer, Norway which is at a similar latitude to Whitehorse (where I grew up). 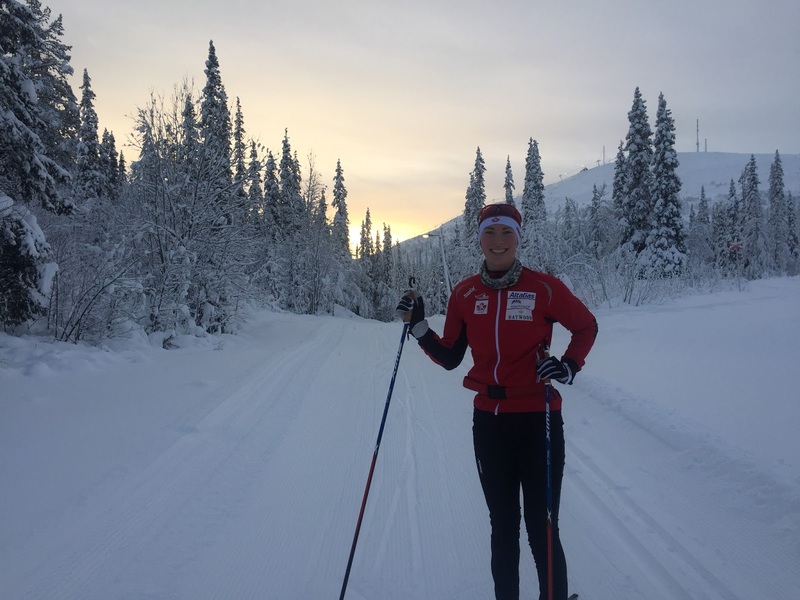 Lillehammer not only offered amazingly tough race trails at the Birkebeineren ski stadium it also offered us hours and hours of amazing flatter terrain to train on. Our first day in Norway we took the opportunity to drive up the hill 20 minutes to Nordseter where we set off on a beautiful two hour ski without repeating ourselves. All along the trails there were ski in cabins. After skiing here you can really understand why Norway is so strong in our sport, it is more than just an activity, it is part of peoples lives. From Norway we flew to central Europe and said goodbye to the snowy landscape. 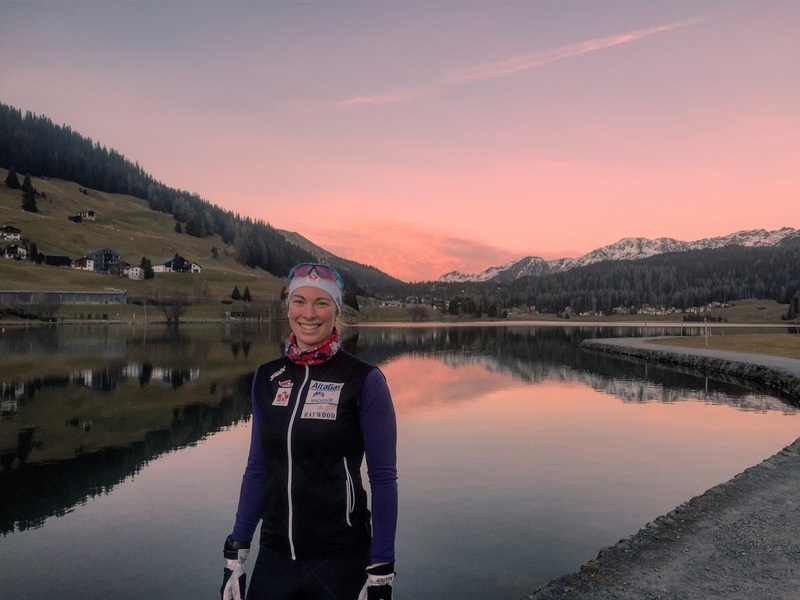 In Davos the only snow is on the tops of the surrounding peaks and at the race venue where they have done an amazing job of making a 6km loop from snow farmed and man-made snow. Despite the lack of snow we have enjoyed beautiful sunny days and the breathtaking scenery of the valley. One of the big highlights for me have been the clear nights with the moon lighting up the mountains around us and some of the best star gazing I have seen in a while. I am really looking forward to yet another new experience when we head to France in a few days. There isn’t any snow there either but the organizing committee is working day and night to get a 2km race course ready for us. From La Clusaz, it will be homeward bound for some good rest and holiday fun in Whitehorse over Christmas. Cendrine and I each bought swiss chocolate advent calendars upon our arrival in Switzerland so we are happily counting down the days until Christmas! Here are some of my favourite non-racing pictures from the trip so far! Happy holidays and happy skiing! 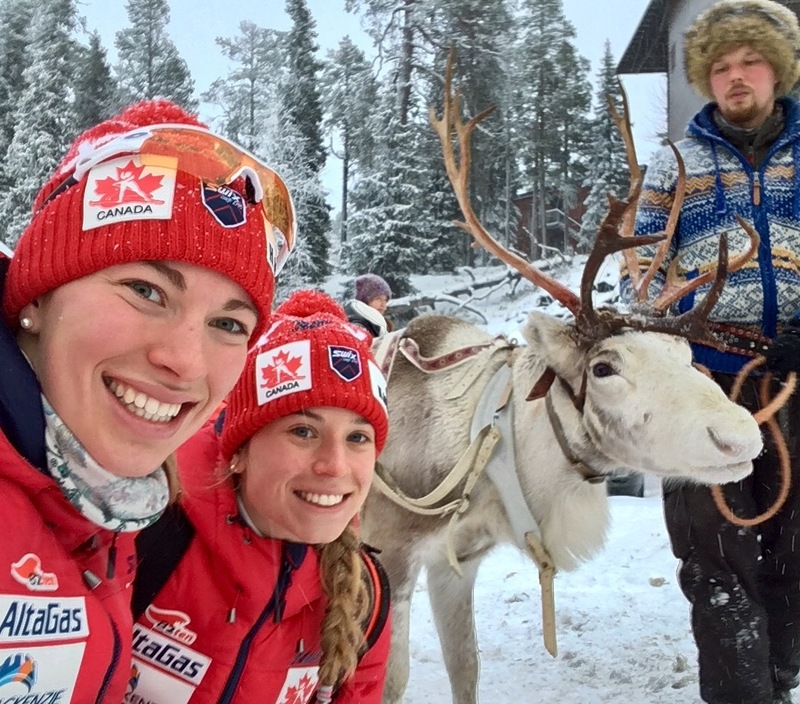 Cendrine and I enjoying life north of the arctic circle after our sprint in Ruka and making friends with the local reindeer. Skiing some of the 100’s of kilometers of trails above Lillehammer around Nordseter and Sjusjoen. That place is truly a skiers paradise. Enjoying a beautiful evening run in Davos, no snow on the ground but still amazing views.